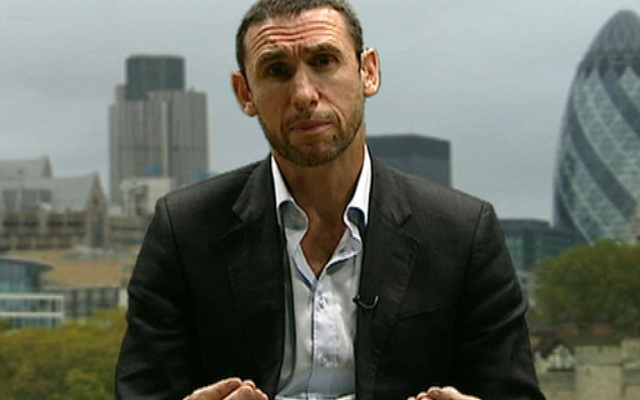 Martin Keown’s opinion is not one we hold in especially high regard, as it’s normally conjured from the air rather than being based on anything too factual. That being said, he’s introduced the subject of Liverpool’s unexpected summer signing Ragnar Klavan, who arrived from Augsburg for a small fee to little fanfare. Due to Joel Matip’s poor early fitness, Mamadou Sakho’s various problems and his own excellent pre-season form, Klavan found himself in the starting XI for Liverpool’s first two Premier League games of the campaign – but was part of a defence that leaked five goals against Arsenal and Burnley. “So far, the 30-year-old Estonian does not seem to be at the same level as Skrtel or Toure, let alone an improvement. If he is going to stay in Liverpool’s defence for the rest of the season, he is going to have to get better quickly,” the ex-England international told BBC Sport. “He was beaten twice for Burnley’s second goal, once by Steven Defour, who ran straight through him, and then by Andre Gray, who went round him as he tried to recover. “Klavan was involved in the Clarets’ first goal too. Nathaniel Clyne gave it away for Gray to set up Sam Vokes to score, but Klavan had put his team-mate under pressure by trying to play out from the back with a long cross-field pass that saw Clyne closed down as soon as it reached him. Can you judge an incoming player on two games – especially when he was decent in one of them? No, probably not. Klavan was fine verses Arsenal, and although he didn’t cover himself in glory at Turf Moor – which player in luminous green did…? There’s a chance he’ll make way for Joel Matip this weekend, but we’re not going to write him off yet. With Mamadou Sakho likely leaving on loan, we need the experienced defender this term as a reliable central defensive option.